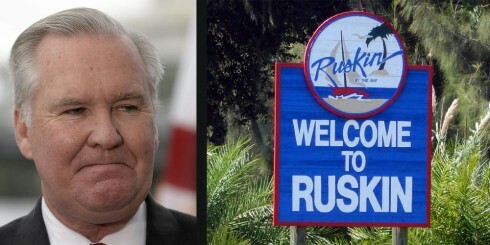 Please send letters (sample letter below) to County Commissioners to ask them to begin building the South Coast Greenway, a paved multi-use bicycle-pedestrian trail which has been planned for decades to connect south Hillsborough communities from Ruskin to Tampa. The time to ask for funding is right now, as the commission is setting the county budget for the next two years. Click here to set up all email addresses + subject, then write your own message or copy & paste it in from the sample, and add your name & address. 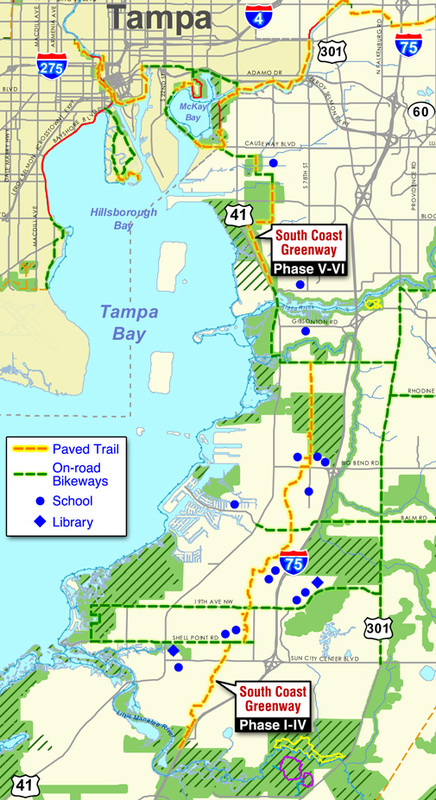 The South Coast Greenway paved bicycle-pedestrian trail has been on county plans since 1995. It is in the Metropolitan Planning Organization (MPO) 2035 Plan’s “Cost Affordable” list of projects planned for funding. Moreover, it is prioritized within the top 20% of those projects. Many citizens and community representatives have shown up at many hearings and meetings, and written many letters to get this project in all our county plans, yet it remains on the drawing board year after year. It is time to fulfill the promises made when these plans were adopted, and begin building this project. This paved trail is not only for recreation, it is for safe transportation. Our roads are among the deadliest in the nation for bicyclists & pedestrians. Safe biking & walking paths are imperative. With oil getting more costly and dangerous to obtain, our multi-modal transportation plan must include non-motorized alternatives, which run on infrastructure that is much cheaper to build & maintain than rail & roads. The South Coast Greenway will connect several schools and the South Shore campus of HCC (see map). These schools need safe bicycling routes for their students. Together with its network of connecting on-road bikeways, the paved trail will connect businesses & town centers, libraries and other daily-errand destinations, and link several ecotourist sites (parks & preserves, rivers, public beaches) making it attractive to visitors and valuable to residents. The community and business organizations which support this Greenway are counting on you to see this project through, which should begin by moving Phase I into the next 2-year budget. Because Phase I connects Shell Point Rd. & 19th Ave, closing the loop for the soon-to-be built bike lanes on those two roads (approved by the County Commission on Jan. 9, 2013) and Phase I connects with the developer-funded Phase II through Waterset which should be completed before the rest of the phases, this is the perfect place to start. 2 comments on this post were accidentally lost because of a problem with the database.